Everybody gets a moon! 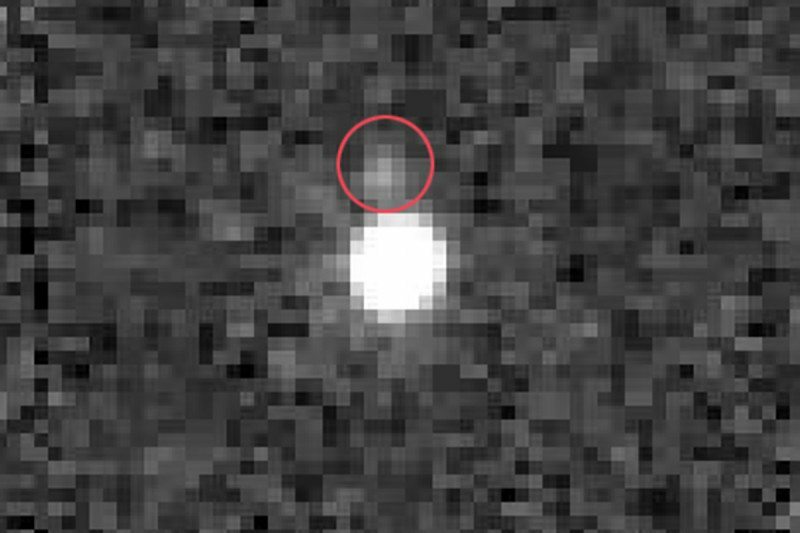 With the discovery of a small moon orbiting the third-largest dwarf planet, all the large objects that orbit beyond Neptune now have satellites. So when dwarf planet 2007 OR10 was found to be rotating more slowly than expected, it was suspected that a moon might be the culprit. To try to find it, John Stansberry at the Space Telescope Science Institute in Baltimore, Maryland, and his colleagues went back to the Hubble Space Telescope archives and found eight images of the world from 2009 and 2010. “We basically just stretched the images a lot harder than the people who originally took the data, and there was a moon,” says Stansberry. The moon was in every image. The team presented these results at a planetary sciences meeting in October and now in a paper. The discovery of moons around all the largest TNOs gives us a window, not just into the objects themselves, but also into our solar system’s history. TNOs are relics from the era of planet building, so they present an opportunity to peer into the past. The moons around each of these relatively small worlds probably formed when a large rock collided with the parent body and the debris coalesced in orbit. The fact that every large TNO has a moon points towards a crowded, chaotic past. 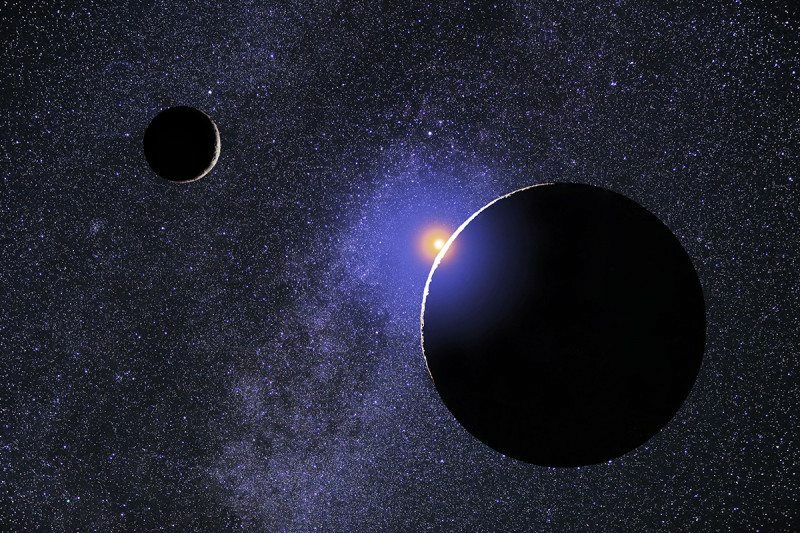 Astronomers hope to take more images of 2007 OR10 to catch further glimpses of its satellite, as measuring the moon’s orbit can tell us more about the dwarf planet and the early solar system. “Knowing the mass and density tells you something about how much rock and ice is in the interior, which can tell you things about the gas chemistry in the protosolar disc,” says Stansberry.